I’ve been making Baby LF these really easy catnip teethers by dipping washcloths in catnip tea and freezing them. 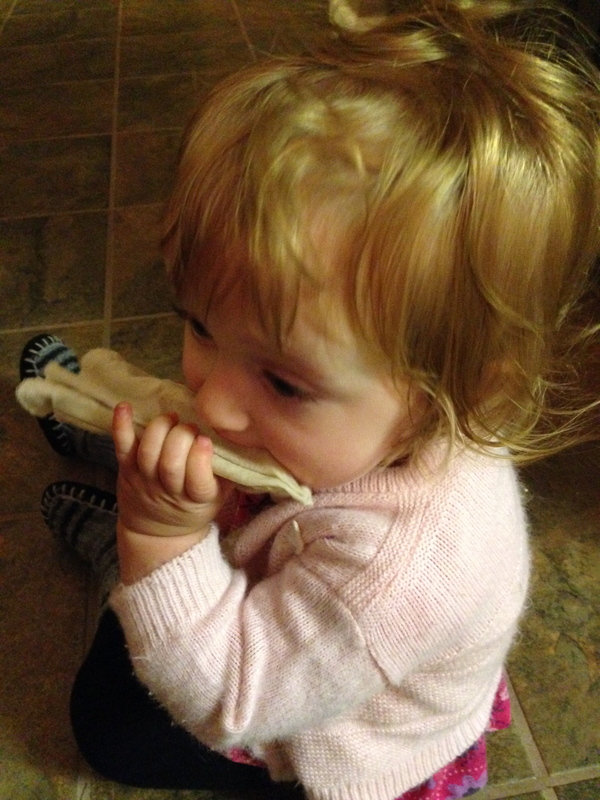 She loves gnawing on them! Plus, they’re really easy to make. Make a cup of chamomile or catnip tea. 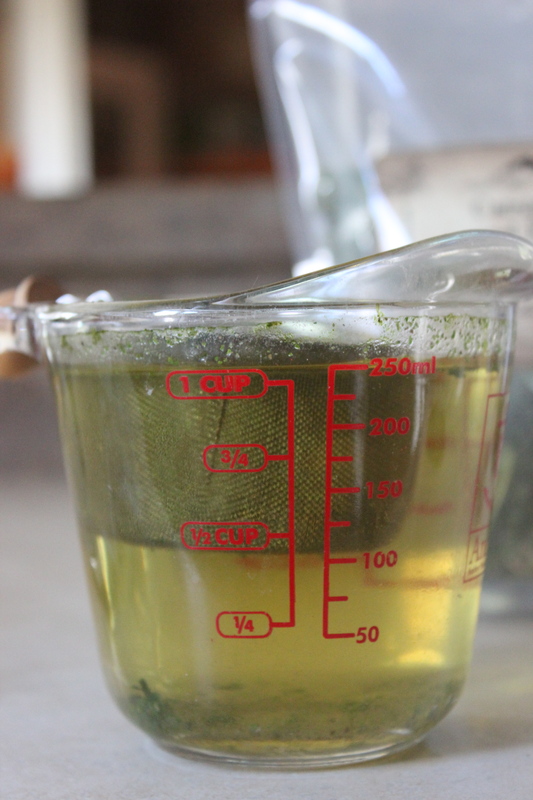 Use a tea bag, or 1 tsp of dried herb per cup of water. 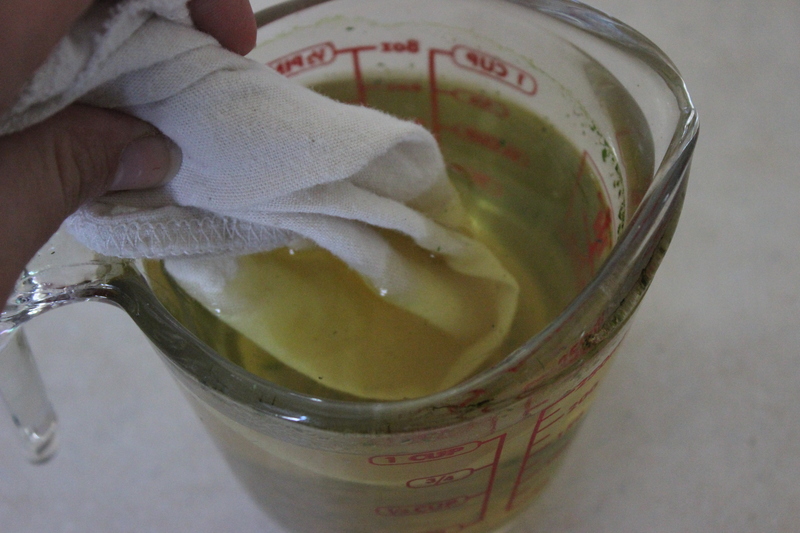 Dip the washcloth into the tea and let the tea soak into the washcloth for several seconds. Line a few washcloths on a baking sheet and let them freeze. Pull them out and give them to your teething child as necessary! Best to wait until a child is eating well on their own before using something like this. I also give catnip tea to her in a sippy cup. I add 1 tsp. of tea to the water in her cup. Now let’s get in to a general disclaimer. I am not a physician and I am not diagnosing, treating, or prescribing anything to you and your family. It’s important for you to do your own research before giving your child any new food, herb, or supplement. Ask a physician if you have any questions and especially if your child is sick, has a high fever for several days, etc. Thanks. Additional note: In researching the safety of catnip in children for this post, most resources say catnip is safe for children. I also found a couple references that hinted at ONE report of a child chewing directly on a catnip tea bag and experiencing stomach cramps. Just so you know. This is brilliant, I had no idea catnip had such uses! I will file this one away for all my future-babies. Thanks for a very informative post 🙂 I hope you and your family are doing well! Glad you enjoyed – catnip has helped us many times throughout the past year! When you do have a future-baby, I hope you can come to one of my classes and learn more!